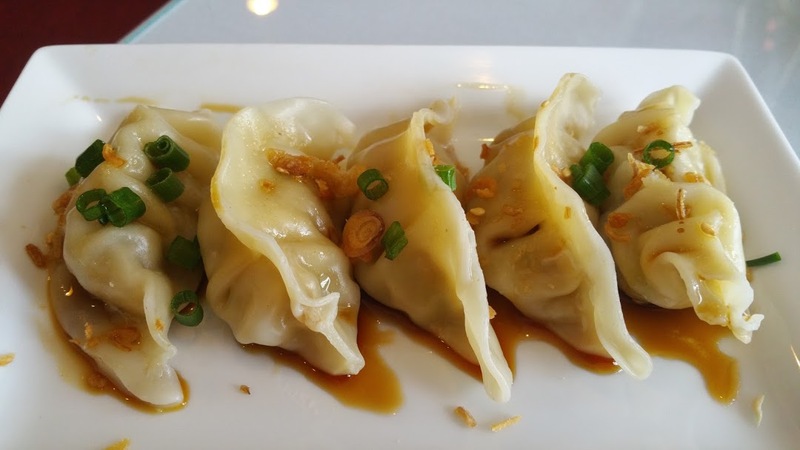 As a food blogger I eat out many nights a month, one thing I have found helpful on those nights I am not looking to review a new or yet undiscovered restaurant is having favorite “go to” restaurants. You all know what is meant by that, need pizza we must go to_____, steak_____, chineese____ fill in the blank. Well today on a quest I found my go to Thai and I am happy to share. 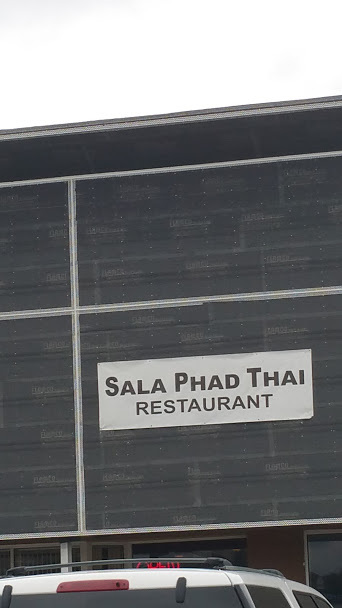 I have experienced Thai food in many restaurants in my area and this for me will now be my “go to”. Set in the same local strip as Col Mustard Phat Burger it’s an easy find. 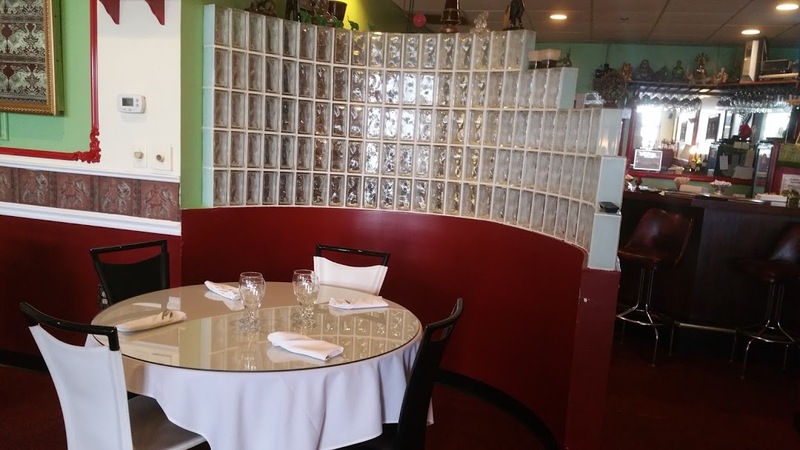 Small space, with an inviting interior, table cloths, and cloth napkins even at lunch. I was impressed. 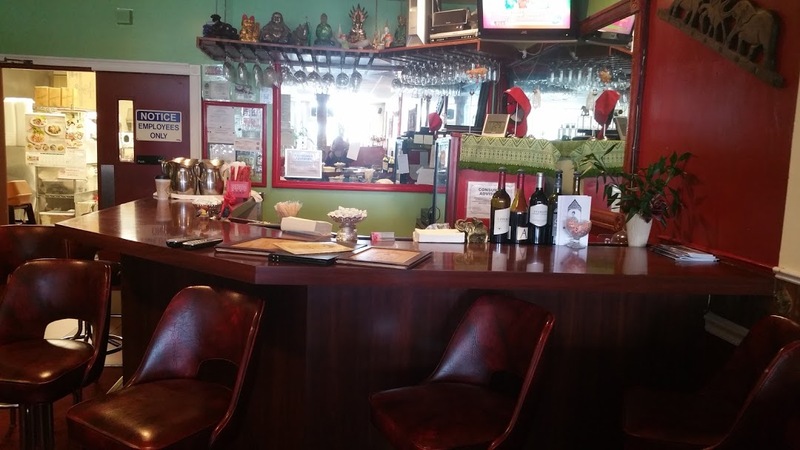 This is a family owned spot, husband and wife team, most friendly, and welcoming to their guests. 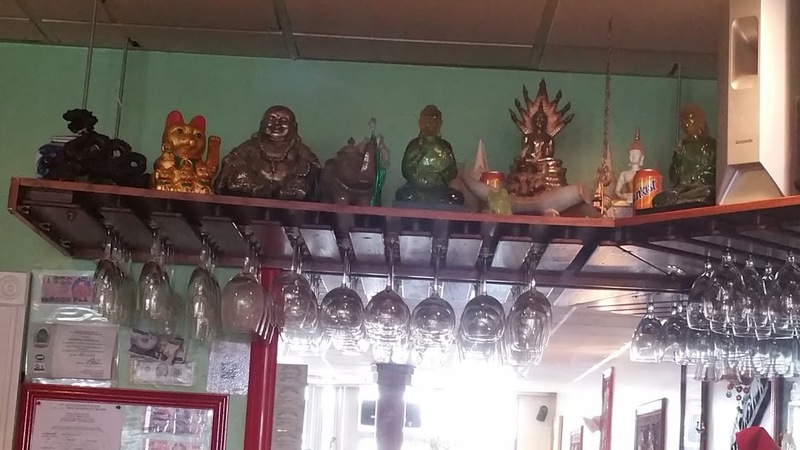 They are more than helpful to the novice Thai food diner. I listened in while the husband took time to explain a particular dish, doing a compare and contrast regarding, flavor texture and heat levels available. This is not always the case so big points on the score board for that. Once I was seated I had the same warm reception, gave my drink order and looked over the dinner menu which I requested. It is some what more robust than the lunch menu and I wanted to see all the choices. I started with the Tom Kah, w chicken. This is a make or brake dish for me. If this soup is good, it’s a no brainer this will be my spot. It was and now it is. The heat scale 1 to 6, I opted for 4 and it was a nice spicy hit to the senses. 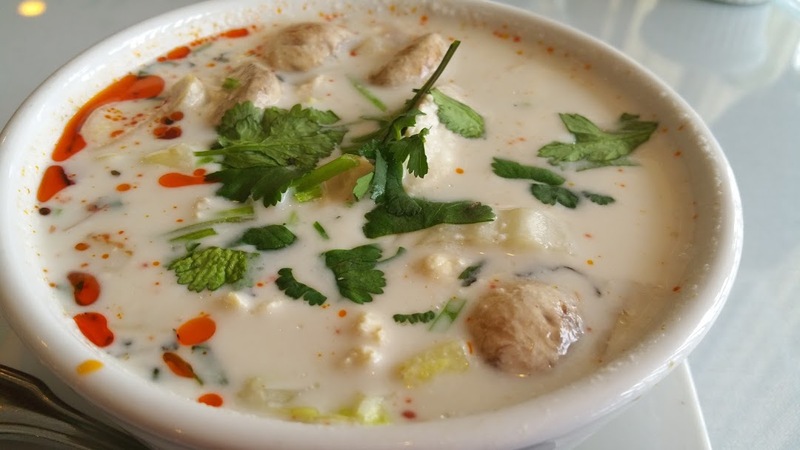 Full with chicken, mushrooms, a few bits of tomato, onion, galangal, and lemon grass, in a smooth as velvet coconut broth. I ordered a bowl, which was 2 cups worth for a mere 5$, this was a steal. 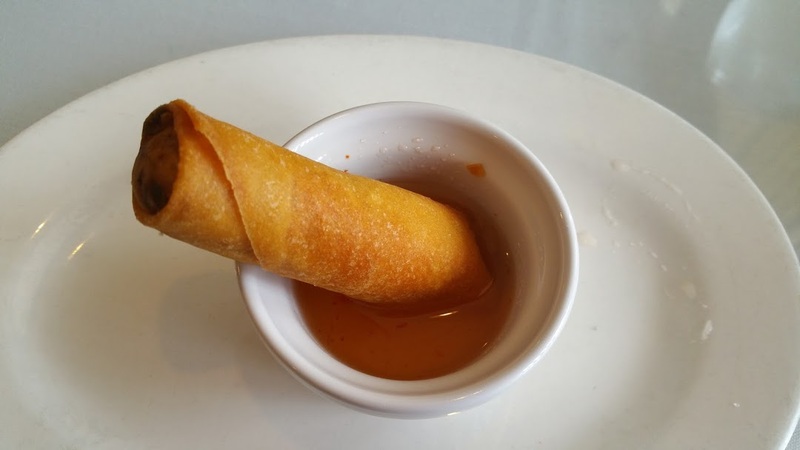 I was gifted with a Thai Egg roll just because. I seldom eat these just because of the fry thing, I did try this and found it to my liking, but I am no expert. My second selection Steamed Dumplings, which I do adore, served with a side of “amazing sauce” according to my host, these were stuffed full of pork and green onions, skins tender, not chewy. Another win. 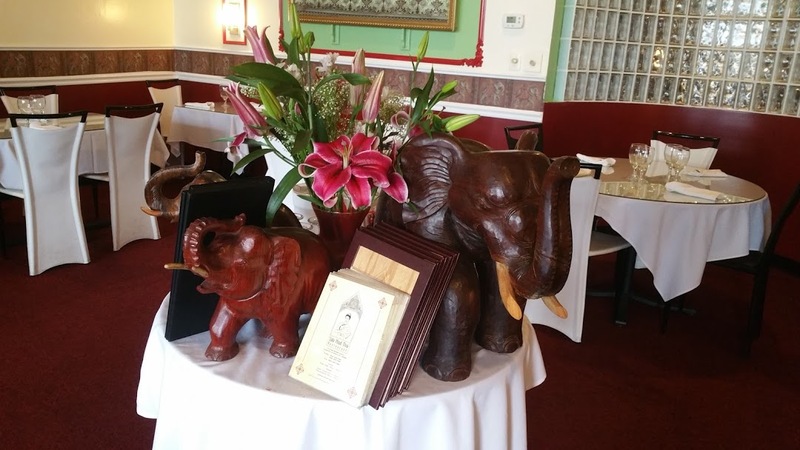 There are many traditional items on the menu to choose from, noodles, curry, fried rices, and stir fry as well as Chef Specials. I was so full from my previous dishes I really had not room, but was determined to try something. 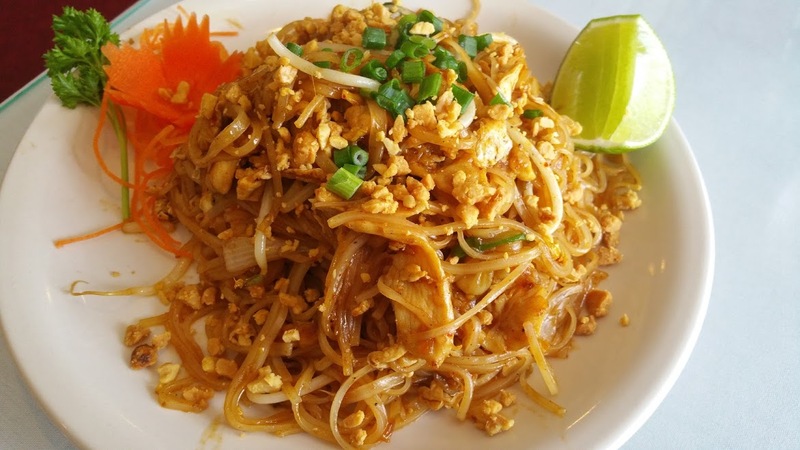 I took the easy way out by selecting Pad Thai. Well I say the easy way, this is a dish that can be either very good or very bad and I have experienced my share of bad here in Jacksonville. Today the universe was with me as I received a moist steaming plate of lovely noodles, garnished with an abundance of fresh chopped peanuts, and a whopping slice of lime, perfect as perfect could be. 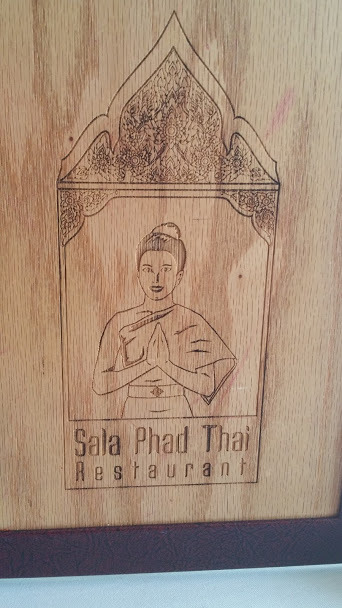 If you like Thai food, and have not been to this spot, please, please, do bring your besties, allow the staff to educate you in the food and spice levels, they will treat you like a guest in their home. Portions are healthy and for all the food mentioned above plus a diet drink and minus the egg roll my check was 20.32$ and I took home enough Pad Thai for an additional meal. An inglleitent point of view, well expressed! Thanks!